When there is a choice between cooking and baking I tend to choose cooking. I am better at cooking then baking. I guess baking takes practice and patience just as cooking does. I feel like when I attempt to bake the cakes, cookies, cupcakes etc. they taste great but don't usually look perfect like they do in recipe books or magazines. I am slowly perfecting my baking and hope to get a little better at it eventually. My older sister Rae on the other hand, is amazing at both cooking and baking and making things look and taste absolutely scrumptious. 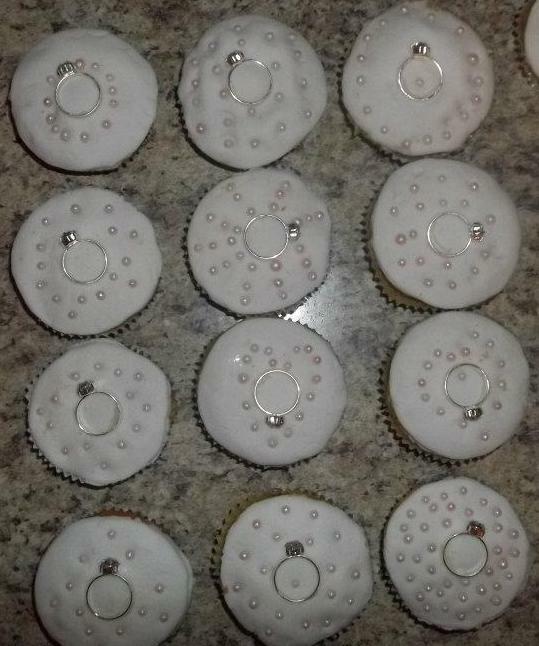 She recently baked some cakes and cupcakes for recent special events and decorated them on her own. ( something I would never even attempt to do at this point ) They looked so glamorous and beautiful so I just thought I would share some pictures and the recipe and her easy instructions for the fondant. I don't know about you but I think she is really talented when it comes to decorating cakes! Let me know what you think. She made this one for a recent family birthday. I love the heart shape with that really cool detailing! This next one is a cupcake. She made these for her purim bags. I finally got to taste one of her beautiful creations and it was as good as it looked! The pearl decorations up on top were edible btw. This last one was for her most recent anniversary. Here's the recipe for the fondant so that those of you who would like to challenge yourselves can try it as well. "Here's the basics, you will need two cakes to layer and the cakes have to be dense enough to be able to hold the fondant. 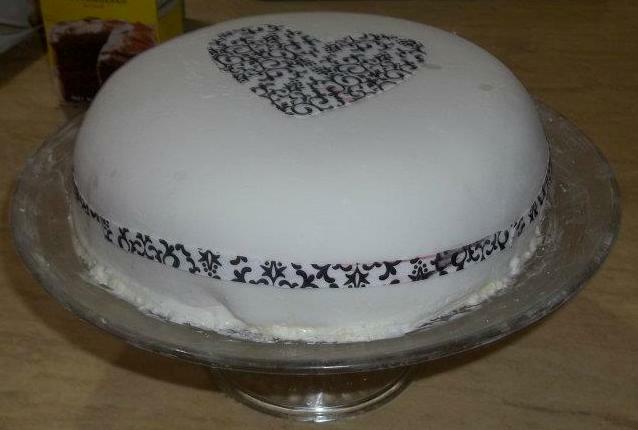 Also use a butter cream to crumb coat the cakes before putting on the fondant. I watched a lot of you tube videos of how to roll out the fondant and how to get it on the cakes without it ripping etc. it take a lot of art to make sure it come out right. If you are preparing cupcakes you just take a cookie cutter and cut out the right size for the cupcake and put icing on the cupcake and then put the round fondant shape (roll it out so its thin but not too thin) and put that onto the cupcake then smooth it out so its on the whole top of the cupcake. with the cake its much more complicated cuz you have to get it on the whole cake and rub it out so its on smooth and tight." " the actual fondant recipe is: take a microwave safe bowl and rub Crisco on the whole inside of the bowl. take a bag of mini marshmallows and pour them it into the bowl. Then pour in two tablespoons of water. Next, you need to put it in the microwave for increments of 30 seconds. my microwave takes 60 seconds. Once the marshmallows begin to look puffy and liquidy you can stir them up with a spatula (put Crisco on the spatula b/c the marshmallows get so sticky) until its nice and smooth. Then, take a box of confectioners sugar. Decide where you want to knead the fondant and spread Crisco on that area as well. Then take the confectioner sugar and pour it all out on the area (I use my counter) make a little hole in the pile of confectioner sugar and pour the marshmallow into the hole in the sugar. Then, Crisco your hands and quickly start putting sugar into the marshmallow mush. It gets really messy and sticky but you need to keep kneading and putting more sugar into it and eventually it will become a solid dough consistency. Fold it up and wrap plastic wrap on it and put it in the fridge until you are ready to use it. When you are ready to use it you will need to warm it up in your hand again to make it pliable and then roll it out with a rolling pin so you can put it onto your cake. I colored the pink fondant on my second cake with Wilton's coloring gel. The one bag of marshmallows can generally cover two 9" cakes. 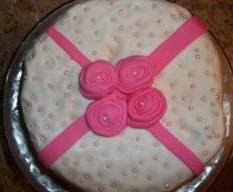 But you can also make square cakes, smaller or bigger and round cakes. It depends on how much you need. 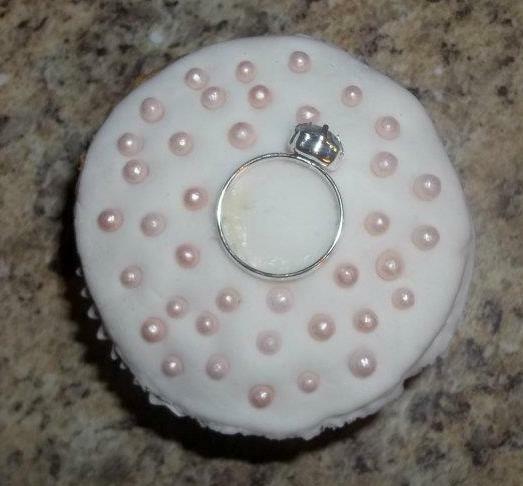 You can also save the fondant for a few weeks in the fridge. Just rub Crisco on it and wrap it up tight in the plastic wrap or a bag and put it in the fridge. You can buy Wilton gel food coloring if you want to color any of your fondant or you can leave it white. 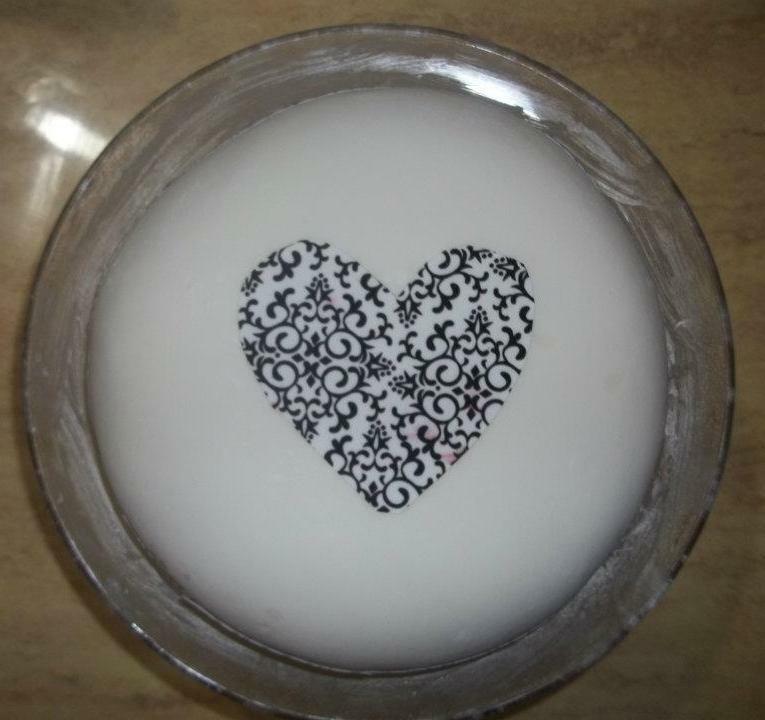 Michaels is a great place to find great easy items for decorating and doing things with fondant. " I can't wait to see what kind of decoration she will come up with next. These are so glamorous looking and so delicious as well! As she prepares more of these cakes she will send me the pictures so that I can share them with you. I would also love to watch her prepare one of these to perhaps learn to do it as well. Hmmm. Thanks Rae for sharing this! Xo! Comment below and tell me what kind of baking you like to challenge yourself with! I love to hear your preferences and opinions!